If you like my theme, please PayPal something small to "Daniel.P.Fore@gmail.com"
Tested on Luna and Precise with Pantheon. DO NOT INSTALL THIS ON GNOME 2. YOU WILL HATE YOUR LIFE. + New Dark Panel style with Dark Menus. + Square bottoms on windows, by request. 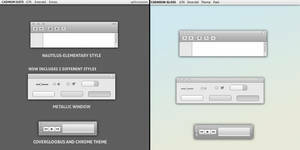 + removed custom toolbar for more consistent look. + reinstated blue, by popular request. + Visual refresh including a shift to a more neutral look. + Inclusion of Metacity theme. + Closed tickets involving terminal errors. "DO NOT INSTALL THIS ON GNOME 2. YOU WILL HATE YOUR LIFE". LOL, that's right and now I hate my life, lol. I'm a bit lost on how a theme works. This looks fantastic, but how is one to use it? Any update on this theme? 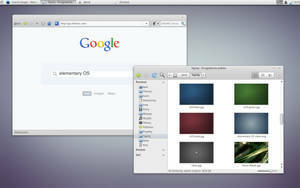 i'd love to have a GTK 3.8 compatible version. 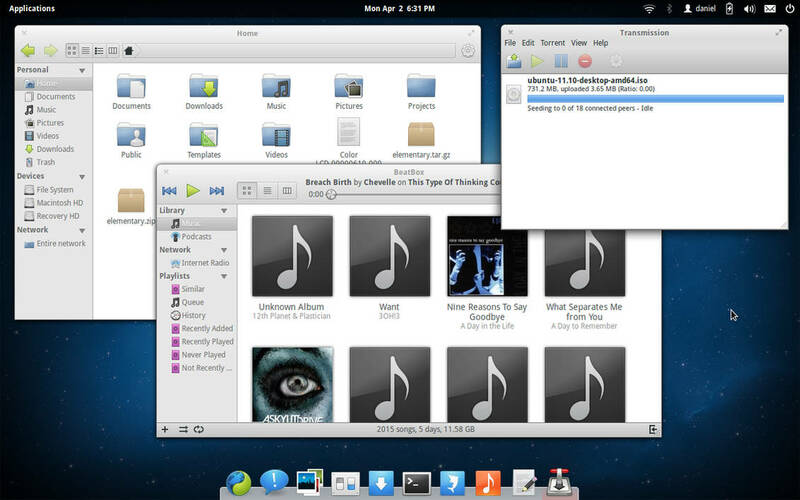 That is coming in the release of elemenatary os after Luna. And that would be when? Who knows . . . .
My current theme. But gtk-3.0 apps don't show correctly for me - checkboxes show as blue squares and text is shown on oddly colored boxes instead. Not sure what caused this as I had installed murrine engines and other dependencies. I'm using Awesome WM, gtk2 apps shows the theme correctly. This looks awesome! It's a darn shame that Windows doesn't have software that looks like this. If it did, I'd get it in a heart beat. 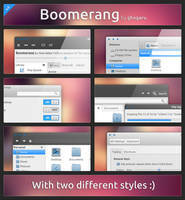 do you plan in the near future to update your theme to the new gtk 3.6? or only faster luna is released or....till the next elementary os version? 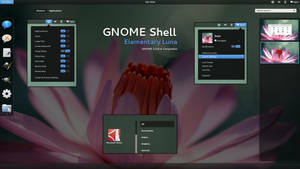 We'll be moving to GTK+ 3.6 in the next version of elementary after Luna (and that's when the theme will move as well). o_O How do you get the menubar to look so awesomeness? Am I missing a package? My back and forward buttons are on the far right and not nearly as aesthetically pleasing. I'm on Ubuntu 12.04.1 32bit running I believe nautilus. I'm not sure what other details to provide, I just want my filebrowser to look like that! It's not Nautilus or Ubuntu or GNOME. 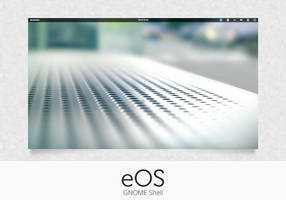 I'm running elementary OS. No, this is Luna. The latest version of the theme doesn't work on Jupiter. A tiny request for the scrollbar: would it be possible to make the rightmost pixel clickable? Use case: open Firefox in fullscreen, put your mouse on the mostright pixel of the screen (which is very "direct"), left-click or middle-click: it does not work. You have to move your mouse 1 pixel on the left (it takes a lot of time for human to do this task). I love the gtk theme, but there's two things that keep me away from using the icon theme. It's the folder icons, the white in the folder icons doesn't separate them well enough from the background. I'd say even using a similar green as the one used in the arrows in place of the white part in the icons would be better. Also the special folders would probably look better if they were differentiated with engravings on the folder rather than the extra stuff. It just seems simpler/more elementary. That's just my two cents and I love here noted that I love everything else in your work. 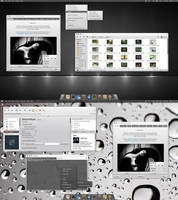 It's really amazing and I use pantheon shell as my main desktop shell. Would even love to contribute, specially to the gala compositor, I love Tom Beckmann's work on it. Can you share the wallpaper? can i try it if I using ubuntu 12.04? Launch the theme selector by typing 'gnome-tweak-tool' in either terminal or using alt+f2 to enable user themes & theme selector shell extension (if not already). BTW, installing dconf-editor via yum (yum install dconf-editor) will allow you to edit the titlebar layout. Hope all this answers your question and good luck with "Beefy Miracle". and the configuration of docky,pleeeease. It's plank. And the theme is in the elementary PPA. Gr8 wallpaper, thanks for the link. I know that elementary was not intended to be used with a desktop, but how do I change the color of the desktop's text? Since it's currently set to black instead of white, most wallpapers make the text illegible. Thanks for the GNOME 2 warning, lol "you will hate your life"
Really nice! 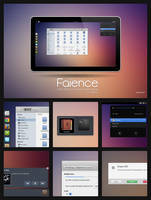 but I like it a bit less than your mockup and your gnome2.0 theme. Will you make a black elementary theme like sometimes in your mockup? it could be really nice and adapted with HUD themes. Are these problems related to any of settings on my machine?